The Home Care Alliance is getting busy with upcoming meetings, webinars, and conferences. Each week be sure to check out our posts about one of our great educational events! Check out what is in store in the upcoming months below! Contact Megan Fournier at mfournier@thinkhomecare.org or 617-482-8830 for more information on upcoming events. Interested in sponsoring one of the numerous educational events? Contact us to find out how! It is that time of the year again that the Home Care Alliance of MA prepares for its annual Innovation and STAR Awards held on April 28, 2015. This is a time that the Alliance works with the almost 200 agency members to nominate and recognize their staff for all of the hard work they have done over the past year, as well as the agencies themselves for working on new innovative ideas for the future in home care. Please see the flyer: Call for Sponsors to learn more about the opportunity to sponsor such a great and well received event. With the average attendance being over 150 people, your name will be well received in the home care industry. Contact Megan Fournier at mfournier@thinkhomecare.org or by phone at 617-482-8830 for more information. *NOTE* STAR Award Nomination Forms will be sent out soon. Keep an eye out so you can nominate your star employees! Responding to comments from the Home Care Alliance, among a list of other interested organizations, the Massachusetts Department of Labor Standards (DLS) released changes and clarifications to the revised minimum wage regulation (454 CMR 27.00). The full list of comments from advocacy and business groups as well as the official response from the state was made available through the DLS website and in a notice to those that commented. Concerning the proposed promulgation of 454 CMR 27.00 and repeal of 455 CMR 2.00, our agencies seek clarification on Hours Worked under section 27.04. It is noted that the employer and the employee may agree in writing to exclude meal periods and a sleeping period of not more than eight hours. It is unclear, however, if those meal periods are in addition to the eight hours of sleeping time. If a home care worker is in the home for a 24-hour period, it should be clearly defined outside of any written agreements pertaining to what time for meals and sleeping is counted and compensable. Meal periods are separate from sleeping time. The“not more than eight hours” refers to sleeping time. We would also appreciate clarification of a reasonable length of those meal periods and whether they are permissible even though the worker is required to remain at the work site during the meal break. premises. The DLS will respond to inquiries regarding particular circumstances where the employee is unable to leave the work site for reasons outside the employer’s control. If the employee is able to eat a meal but is not relieved from duty, the time must be paid. discussion about posting a notice in the primary language of a cohort of any 5% or more of the employers workforce raises a question: How do employers discover employees’ primary languages? This appears to violate the rules of the MA Commission Against Discrimination, and moreover, an employee may have the right to refuse to answer. In response to comments from employer’s, the section is modified to require the translated notice if the language is commonly spoken among employees at the worksite. The requirement is not overly burdensome for employers since notices in different languages are only required if the translation is available from the Commonwealth. 27.07 is amended: The workplace notice shall be posted in English, and in any other language that is commonly spoken by five percent (5%) or more of the employer’s workforce and for which a translated notice in that language is available from the Commonwealth. Other comments, responses and changes can be viewed in the DLS summary of testimony. The Office of the Inspector General and other federal entities continue to have a significant local presence when it come to examining Medicare and Medicaid fraud, most especially in home health care. This update on a high profile local arrest comes from Boston attorney and health care compliance expert Paul Shaw, of the law firm Verrill Dana. On December 3, 2014, following a 15-day trial, a federal jury convicted the owner of At Home VNA of Waltham, MA, Michael Galatis, R.N., for fraudulently billing millions of dollars of services to Medicare and then laundering the proceeds. The jury also found that Galatis used portions of the proceeds of the fraud scheme to purchase a $750,000 house in Natick in 2010. Over the course of 14 months, Galatis purchased the house, and paid off a mortgage, in increments including $50,000 and in excess of $100,000, until he owned it free and clear of a mortgage. The jury’s finding renders Galatis’s home forfeitable. In addition, the jury found that $50,000 contained in two bank accounts related to the fraud scheme is forfeitable. From 2006 to 2012, Galatis caused At-Home VNA to submit more than $27 million in false and fraudulent home health services claims to Medicare. Galatis, along with his clinical director, trained At-Home VNA nurses to recruit older patients on Medicare who lived in large apartment buildings. Galatis held “wellness clinics” at these buildings where nurses convinced senior citizens to enroll with At-Home and have a nurse visit them in their home. Galatis trained nurses to manipulate the patients’ Medicare assessment forms to make it appear as though the patients qualified for Medicare home health services, when that was often not the case. The home health orders were signed by At Home VNA’s paid medical director, Dr. Spencer Wilking, who has separately pleaded guilty to health care fraud. At no time did the medical director actually examine any patient before signing the order for home health services. The elderly patients’ primary care physicians were unaware that At Home was sending nurses to see their patients in their homes. A number of primary care physicians complained to Galatis and asked him to stop seeing the patients, but he ignored these complaints. Similarly, At Home VNA’s nurses asked Galatis if they could stop seeing the patients, because they did not need home health services, but Galatis refused these requests as well. Sentencing in the case is scheduled for February 26, 2015. The health care fraud statutes under which Galatis was convicted provide a sentence of no greater than 10 years in prison, three years of supervised release, a fine of $250,000 or twice the gross gain or loss resulting from the offense, and restitution to the Medicare program. Home Health Line, a widely-distributed industry newsletter, has published notices to hospitals and physicians on Face-to-Face Requirement changes created by the Home Care Alliance of MA as a resource for home health agencies across the country. The notices on the rule changes as of January 1, 2015 were distributed in a previous blog post and were created by HCA staff to help educate partners in the hospital and physician community about their responsibilities to ensure Medicare beneficiaries receive the necessary home health services. With a significant number of home health agencies classified as large employers under the Affordable Care Act (ACA), home health advocates have convinced lawmakers to reintroduce legislation that would help agencies avoid penalties for failing to offer health insurance to part time workers. 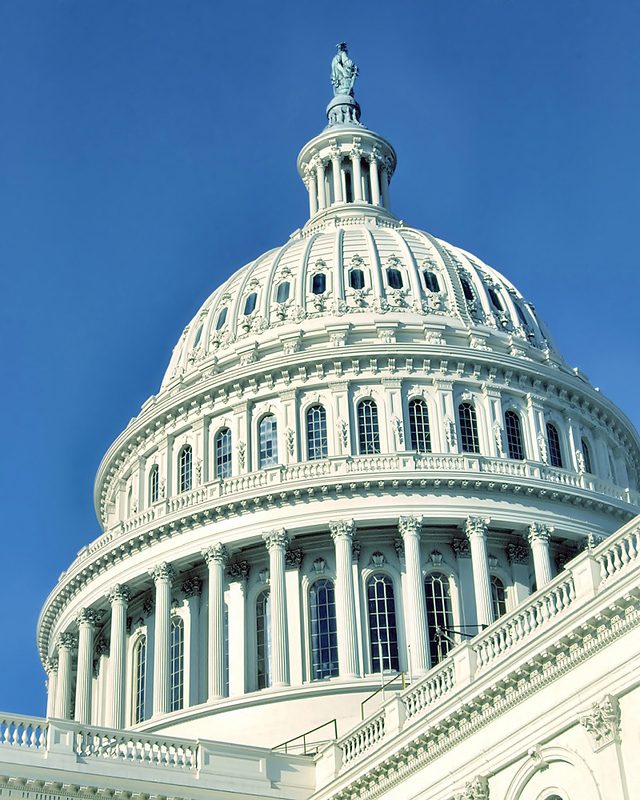 The US House of Representatives voted to advance their version of that legislation on January 8. Currently, the provision in the Affordable Care Act (ACA) that imposes penalties on employers with more than 50 full-time equivalent employees for not providing health insurance for their “full time” workers defines an employee working just 30 hours a week as full time. This definition of full time is out-of-keeping with standard employment practices and could cause significant financial burdens for many home care agencies. That mandate is not active until 2016, but later this year, the federal healthcare law will require that companies with 100 or more employees must offer coverage to most workers or face a financial penalty. The House voted 252-172 to approve their version of the bill with 12 Democrats joining Republicans, which is not enough for a “veto proof” majority. On the US Senate side, a hearing on Senators Susan Collins (R-ME) and Joe Donnelly (D-IN) “40 Hours Is Full Time Act” bill is planned for later this month. You are currently browsing the Think Home Care Blog blog archives for January, 2015.